Create powerful and flexible forms with zero programming required. Hitting roadblocks with other form design sites? Welcome to your new Form Design Platform. Discover Logiforms' easy-to-use form design software. We give you everything you need to design, host, and deploy forms specifically customized to fit your business' needs. The most flexible solution on the market. Built for professionals and business's that need to go beyond simple form design sites. Ideal for mortgage applications, legal forms, Academics, order forms or a simple contact form. The Logiforms solution is flexible enough to accommodate your unique business requirements. What would have taken your programmer days to build you can do in minutes. 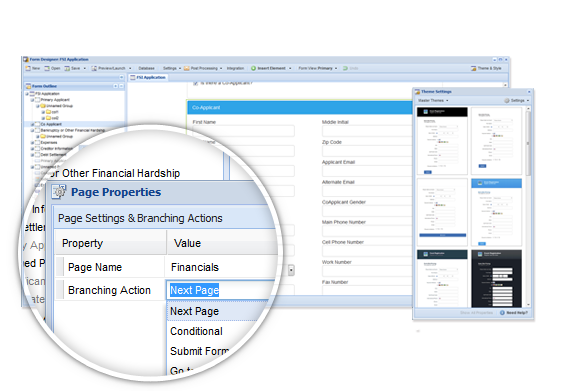 Be more productive with a web-based form designer that performs like desktop software. Drag & Drop, multiple undos, saving and re-using form elements, and the ability to edit multiple fields at once all help make you more productive. In this quick 3 minute video, our product manager, Jeremy Stevens highlights the key features of our Form Designer. 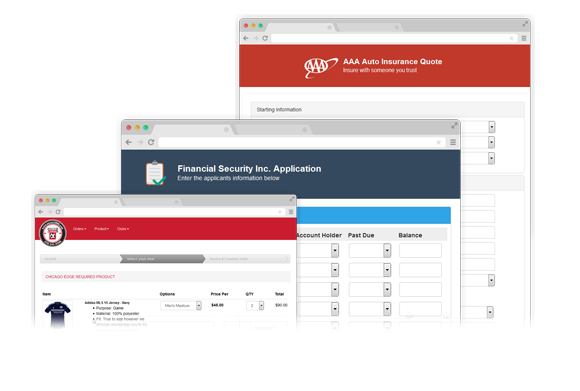 Follow along as he uses the drag and drop form designer to create a smart insurance quote form. You'll quickly see how hide/show logic makes your forms easier to complete and explore some of the cool form widgets available on our platform. Build Once. Deploy Anywhere, on any device. Our mobile platform keeps your business running, allowing you to perform on-site inspections, process real-time mobile payments, and collect mobile signatures. It doesn't require an app, or any installation. Use our platform to customize your own mobile application to manage your form submissions. It'll help you create custom workflows, and automate information sharing and approval processing. Our platform is packed with features that support companies of all sizes, from legal firms, and universities to small, mom-and-pop businesses. When you choose Logiforms, you choose a platform that can scale with you. 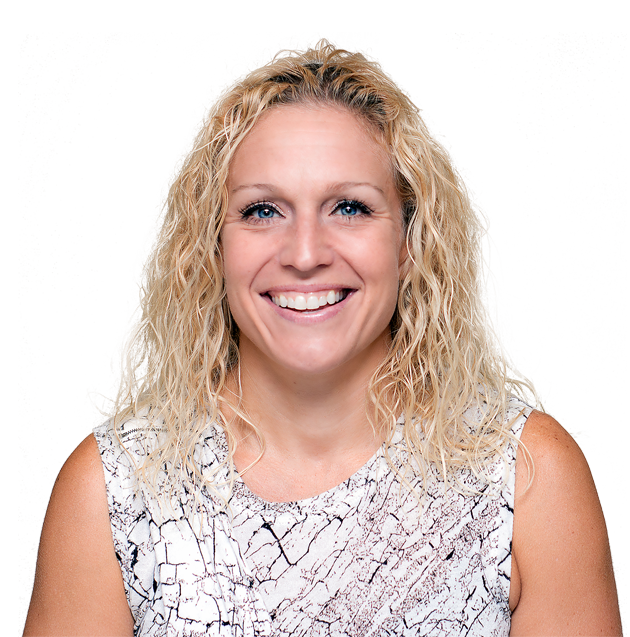 Want to Increase customer satisfaction and conversion rates? Allow your users to pause and resume their form submission. It's perfect for long, multi-page forms. Easily calculate costs and add up totals in real time on your forms. Or, give each question a score and add up the total. Upload any file instantly. You can even resize images on demand. Use conditional logic everywhere. Intelligently branch between pages, or hide and show fields. Leverage this feature when sending emails and generating PDFs. When your forms show only relevant fields, it Increases your conversion rate. Our Hide and Show form fields use conditional logic to remove unwanted and highlight relevant fields to improve your customers' experience with your forms. Pull data into your form using a lookup query with Dynamic Data. Use this efficient-boosting feature to populate the form with the results. 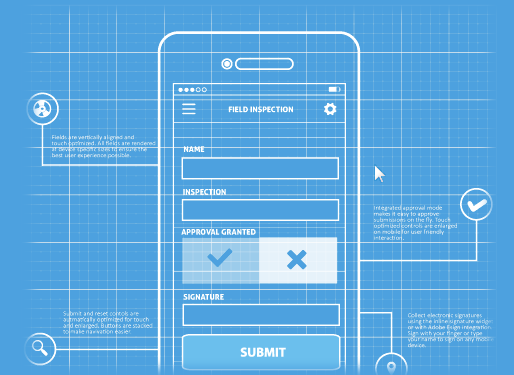 You'll be blown away by how simply it is to create great-looking forms. Choose from over 150 templates. Or, build you own forms and apply one of our awesome BootStrap themes. Customize your form to match your brand identify. You can even use your own CSS. Get your forms out of the Jurassic Age with a modern, clean look that the end user can easily navigate. 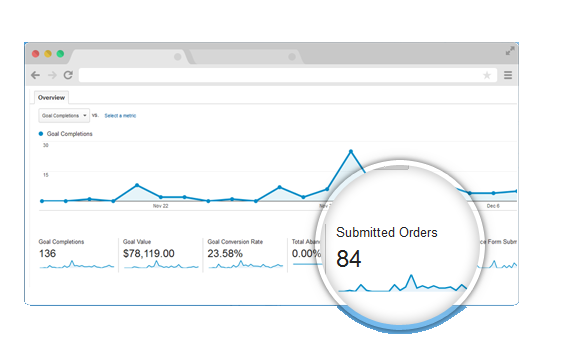 Track your Pay-Per-Click campaigns, find field bottlenecks, and boost your conversions with in-depth analytics. One-click integration with your Google Analytics account means you can track events on your form and watch users in real-time as they navigate your form. Use Logiforms built in Form Analytics to track views vs. conversions and find where your users are getting stuck. Boost your conversion rates by optimizing your form with these actionable insights. In the 8 years we have used Logiforms, we've saved thousands of dollars in development costs. Moreover, the revenue we’ve realized through online forms amounts to several million dollars.